Indonesian music is indeed to be proud of. The classical and orchestral music sector contributes not least to the name of the nation in the eyes of the international community. Here we will sort some names from Indonesia that act as the core of an orchestra, the composer. Some of them even have inheritance in the form of music schools spread in many cities in Indonesia. Who are they? The following is the list of top famous composer in Indonesia. Andi Rianto was born in Sorong, began to study piano since age 4. It sounds like music is a heart call, because after completing education in the United States, he returned to Jakarta to set up Magenta Orchestra. One of the television programs that did not last long but was able to change the notion of society over the classical music that he said was boring, HARMONI, was the idea of a man who was twice the nominee of the Indonesian Film Festival as Best Music Performer. The man who has won many award nominations for his musical work is considered active in the homeland music industry, ranging from creating songs to musical compositions. Starting his career by joining Karimata’s music group, the father of singer Gita Gutawa finally decided to focus fully on the music world. 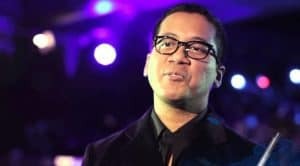 As a result, he founded Erwin Gutawa Orchestra in 1993 and is still actively playing music for orchestra performance, as well as supporting musicians behind the scenes. He had also played in several films in the 70s, before the late 80s, decided to fully plunge into music. Erwin escorted him by joining Karimata, a jazz fusion band. In 1993, Erwin founded Erwin Gutawa Orchestra and devoted his focus there. ROCKESTRA is one of the 2 children’s masterpiece packs, where he orchestrated orchestral music with rock and reaped success. Ita Purnamasari’s husband is also known as the Krakatau band personnel. Elfa Secioria is an important person in Dwiki music life. Jazz music drove him around the world. QUANTUM MEGALITHICUM became his work that surprised many people to remember. Ever heard of Megalithicum Quantum? Yup, it is one of the phenomenal works of this one Indonesian composer. Dwiki is known as a very reliable jazz composer. In addition to managing the Farabi music school in Indonesia, he also joined the World Peace Orchestra. Now Dwiki joins World Peace Orchestra and is trusted to manage Farabi’s music school which has 45 branches in 2011. This one is known for his expertise in classical music. Addie MS is known as the founder of the Twilite Orchestra, and until now still holds the stick as the orchestral conductor. Addie MS is known as a humorous and intellectual figure. In the field of music, his performances are quite successful in bringing the Indonesian name in the international arena. Addie Muljadi Sumaatmadja is his full name, better known as Addie MS. Husband from Memes is known for long time making classical music as his choice. From there, Addie established the Twilite Orchestra and until now still holds the orchestral conductor stick. The 52-year-old man has no doubt about it. Addie MS with his Twilite Orchestra has repeatedly brought Indonesia’s name in the international arena. Later, this 2-year-old boy is also involved in the manufacture of some home-grown films. He is a Sundanese songwriter and composer. He is the founder of the Elfa’s Singers music group. The name of this one is arguably the legend of Indonesian music. Dying on January 8, 2011, Elfa left so many valuable heritages for the country, not just Elf’s Singer’s vocal group, but also the roots of musicality and other influences. On March 23, 2011, the deceased received the Art Prize Award from the Government of Indonesia. On March 23, 2011, coinciding with the National Music Day Celebration, Almarhum Elfa received an Art Prize Award from the Government of the Republic of Indonesia. On the same day, at the “For You Friends Elfa Secioria” event, Persatuan Artis Penyanyi, Lagu Pencipta, dan Penata Rekaman Musik Indonesia (PAPPRI) also awarded Nugraha Bhakti Musik Indonesia (NBMI) to Elfa. Purwacaraka is a genius figure behind many serial and Indonesian film productions. He also often appears as a composer in an orchestra. Brother of Trie Utami singer is really loves the music world. 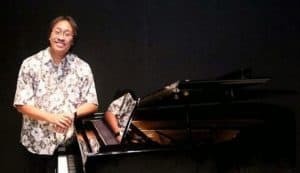 One of his personal accomplishments is setting up the Purwacaraka Music Studio music school, which now has dozens of branches spread across Indonesia. Purwacaraka (born in Beograd, Yugoslavia, March 31, 1960) is a Indonesian musician, composer, and songwriter. He is the older brother of singer and songwriter, Trie Utami. His musical works in the form of songs and illustrations often adorn Indonesian films and soap operas. The music illustration on the soap opera The Doel Anak Sekolahan aired by RCTI in the 1990s is one of the works that is still remembered by many fans. Purwacaraka is the holder of a music school patent, Purwacaraka Music Studio, as many as 50 branches in various cities. Martha Martono or Gesang is a composer focused on keroncong music. His most phenomenal song entitled Bengawan Solo, has been famous throughout the archipelago, even Asia, including Japan. His work has even been translated into 13 languages, including English, Russian, Chinese, and Japanese. In addition to Bengawan Solo, the other Gesang works are the Red Bridge, Caping Gunug, Andheng-Andheng, Thunder, Dongengan, Saput Tangan, World of Peace, News, Great Wall, World Wheel, and many others. 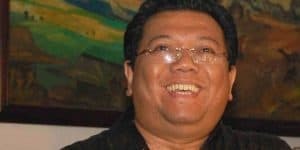 Ismail Marzuki is a major Indonesian component, who is also a national hero. 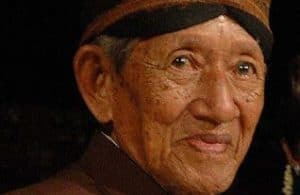 Male-born Jakarta, May 11, 1914, has many famous song works including Kelapa Island Appeal, Juwita Malam, Sabda Alam, Bunga Gugur, Indonesia Pusaka, and Bandaneira. 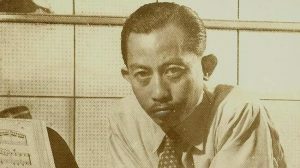 Ismail Marzuki died on May 25, 1958 in Jakarta. In 1968 his name was immortalized as a park and cultural center in Cikini district, Central Jakarta. Ismail was also well known of becoming a national children- song maker. Up to now his song is still commemorated by most of Indonesian. Who does not know Wage Rudolf Soepratman. The creator of the Indonesian Raya song is one of the major Indonesian composers. 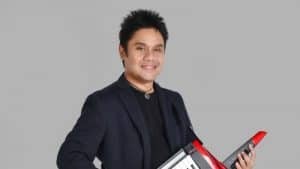 His love for music since childhood makes WR Soepratman grow into a great composer with a variety of works that are still being broadcast to date. His famous works besides Indonesian Raya are Iagu Ibu Kita Kartini, Sunshine, and Our Flag. Now, WR Supratman has been stated as one of national in Indonesia. 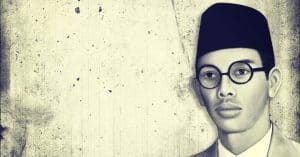 His struggle for independence day of Indonesia through music is deserved to be appreciated. 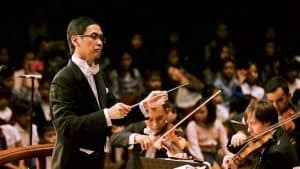 Conductor Sa’Unine String Orchestra, Oni Krisnerwinto grew up in a family that loves music. Formal music education began at the Yogyakarta State Music School (SMM) in the Department of Violin. 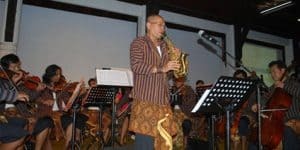 Afterwards, Oni continued his music education at the Indonesian Institute of Arts with a study program in major violin musicology and saxophone minor instruments. Oni began his career as a professional musician since 1989 in several orchestra in Indonesia such as, Nusantara Chamber Orchestra (Violin), Jakarta Symphoni Orchestra (Violin), Twilite Orchestra (Concert Master and Arranger), Erwin Gutawa Orchestra (Concert Master, Arranger and Conductor assistants) , and finally he appeared as Conductor Magenta Orchestra. Now Oni has also successfully added his career in the composer field since 2000. Those are the list of famous composer. You have to be proud after knowing some of them are even popular in the world. It can be proven from international awards they have got several times.